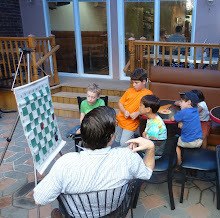 Playing in yesterday's game/60 Swiss at the Marshall Chess Club, I finished with a score of 2-1-1. Here are my best games. 51.Ra3 Kg6 52.Rb3 Kh5 53.Ra3 Rd1 54.Kg2 Kh4 55.Rb3 Rd2+ 56.Kg1 g4 57.Ra3 Rc2 58.Rb3 g3 59.Rb8, draw. 32.Kc2 Rh7 33.Re3 Bb5 34.b3 Bxd3+ 35.Rxd3 Nxd3 36.Kxd3 Rh3+ 37.Kc4 Kc6 38.Rf5 b5#. In November, I received an e-mail from Katie Schulz who is directing and producing a documentary about the I.S. 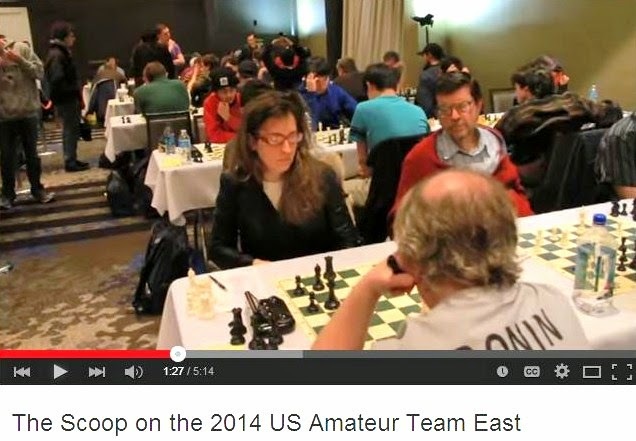 318 chess team from Brooklyn NY. Katie's website is on my link list under Rescued Media. Below is a teaser from the film which has the working title Chess Movie. The fund raising site is kickstarter.com. Barayev - West @ "Contre Gambit Philidor"
Frederic Fournier analyzes my game as Black against Isaac Barayev, from last weekend's Swiss at the Marshall Chess Club. It should be pointed out that the time control was game/30, which caused inaccurate play on both sides. For example, in the diagram below, White missed the win of a pawn by 21.Rb1. Earlier, I might have improved by 13...Nbd7. 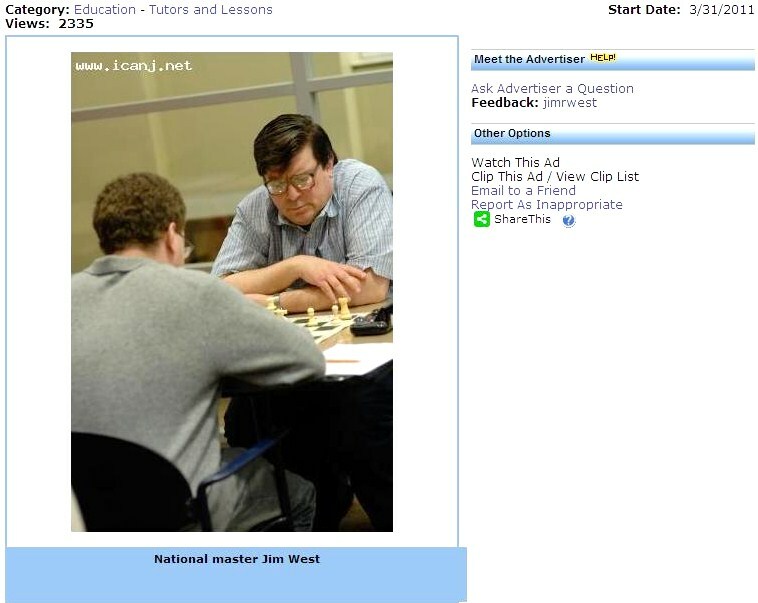 Candidate master Evan Rabin [pictured above, right foreground, wearing blue] has started a chess blog called Adventures of Rabin. 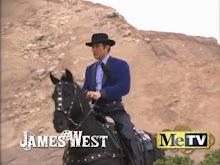 I have added it to my link list. At the start of round one, I took these pictures in Hamilton on Saturday. In The New York Review of Books, Garry Kasparov reviews Chess Metaphors: Artificial Intelligence and the Human Mind by Diego Rasskin-Gutman. 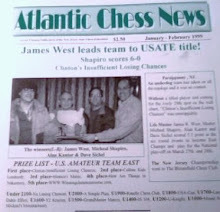 Kasparov suggests that computer programmers should turn their attention from chess to poker. On Friday, the United States Chess Federation settled its lawsuits with Susan Polgar and Paul Truong. Playing in the one day schedule, I finished with a score of 2-1-1 in today's Swiss tournament at the Marshall Chess Club. Here is the draw. 39.d5 cxd5 40.cxd5 h4 41.Nc4 Ng6 42.h3 a5 43.Nxa5 Nf4 44.Nc4 Nxh3 45.Ne5+ Kd8 46.Ng6 Ng5 47.Nxh4 Ne4+ 48.Kd4 Nf6 49.d6 Ne8, draw. At today's Hamilton quads, I drew this game. 57.Rb5 Rxa2 58.Kxf5 Ke3 59.Ke5 Kd3 60.f5 Kc4 61.Rb7 a5 62.Rh7 Re2+ 63.Kd6 Rf2 64.Rh4+ Kb3 65.Ke6 a4 66.f6 a3 67.Rh3+ Kb2 68.Rxa3 Kxa3 69.f7, draw. 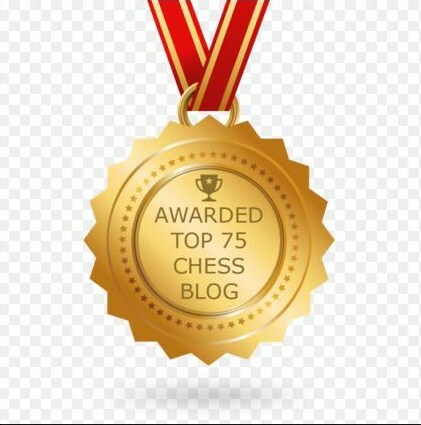 More Games @ "Contre Gambit Philidor"
Frederic Fournier analyzes two games of mine, from the new Dean of Chess Academy, at his Contre Gambit Philidor blog. 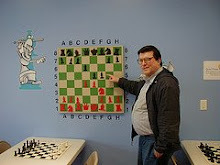 Fournier also provides a link to a game, played at the Marshall Chess Club, in which I had Black against Alan Price. PCG Endings @ "Contre Gambit Philidor"
At Contre Gambit Philidor, Frederic Fournier analyzes two endgames of mine from the Liberty Bell Open and shows how to checkmate with the bishop and knight. During the Liberty Bell Open, held at the Sheraton City Center Hotel in Philadelphia, I found time to snap these photos. 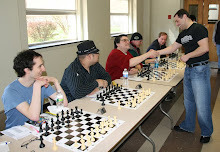 The first two show chess bloggers Atomic Patzer and Castling Queen Side respectively. Then there are various pictures of the lobby, sports bar, and tournament rooms. For me, this year's Liberty Bell Open will be remembered for my 124-move draw in the final round. We played the game like a couple of punch drunk boxers. The errors started when my opponent lost a piece in the opening. Then, I could have sacrificed the extra piece for two pawns with an easy win. Instead, my plan of trying to retain the piece backfired. We reached an ending where one of my two remaining pieces would have to give itself up to stop double connected passed pawns, leaving me with insufficient mating material. But my opponent made a careless 63rd move which enabled me to capture both passers. Now I had the difficult bishop and knight versus king endgame. Maybe it was fatigue that prevented me from winning before the 50-move rule took effect. 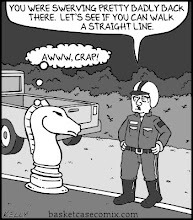 Or maybe it was because, in more than 37 years of tournament chess, I never had this ending before, except one time when both flags were hanging and I had to claim a draw. 101.Kb3 Kb5 102.Kc2 Kc4 103.Kd2 Kd4 104.Ke2 Ke4 105.Kd2 Kf3 106.Kc3 Ke3 107.Kb3 Kd3 108.Ka4 Kc4 109.Ka5 Nc6+ 110.Ka6 Nd8 111.Ka5 Nf7 112.Ka6 Nd6 113.Ka5 Bd4 114.Ka6 Kd5 115.Ka5 Kc5 116.Ka6 Kc6 117.Ka5 Kc5 118.Ka6 Bc3 119.Ka7 Kc6 120.Kb8 Bd4 121.Ka8 Bb6 122.Kb8 Kb5 123.Ka8 Ka6 124.Kb8 Bd8, draw. At the Liberty Bell Open on Sunday, I won an endgame where my knight was better than my opponent's bishop because his pawns were on the same colored squares. 47.Bd1 a3 48.Bc2 g4 49.Bb1 g3 50.Kf3 Kd4 51.Kxg3 Kc3 52.Kf4 Kb2 53.Ke5 Kxb1 54.Kd4 Kxa2, White resigns. 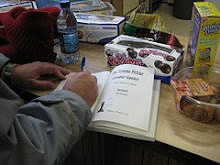 Saturday was day one for players like me, in the three day schedule at the Liberty Bell Open. In the following game, playing too quickly because of my opponent's time trouble, I missed a chance to win a decisive pawn by 45...Rxb5. 45.Rd7 a2 46.Rd8+ Ke7 47.Ra8 Rxb5 48.Rxa2 Rc5 49.Re2+ Kf7 50.Kh5 Rf5 51.Kg4 Rc5 52.Kh5 Rf5 53.Kg4 Rc5, draw. On Sunday, I took these pictures at the Westfield quads. 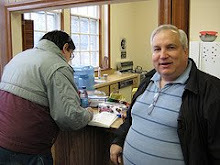 These pictures were taken by me on Saturday, before round two in the NY Winter Game/45 tournament, at the Marshall Chess Club. GM-elect Alex Lenderman won the event with 4.5 point. In the second round, FM Asa Hoffmann defeated Guy Colas, while Darrian Robinson lost to NM Raven Sturt. Meanwhile, Khamroev Ravshan bested Michael Hehir. 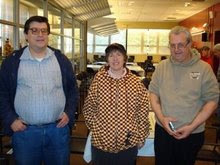 NM Leif Pressman and IM Jay Bonin won their games, in round two. Guido van der Werve on "YouTube"